ABT Blog | ABT Tax Services, Inc.
Tax season will be here before we know it. 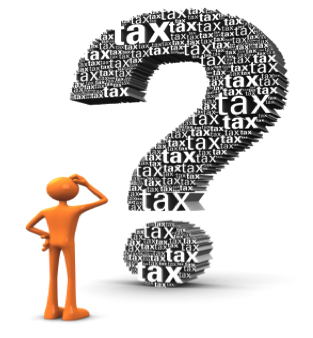 Therefore, we decided to put together a list of five of the most common tax questions regarding the upcoming season. *What documents are needed to prepare my taxes? Let’s start with income documents. Two common types of income documents are W-2 forms from your employer(s) and 1099 forms issued from your bank, state reporting agencies, or companies that you may have performed work for. You’ll also need to bring social security numbers for yourself, your spouse, and any dependents as well as a picture ID. If you itemize deductions, don’t forget your mortgage interest statement, property and vehicle tax records, charitable contribution receipts and medical records. If you incurred any employee expenses that were not reimbursed by your employer, we’ll need those too. *Do I need to file taxes if I didn’t make a lot of money? If your income is below the IRS filing requirement ($10,400 for individuals and $20,800 for married couples under 65), it is still recommended that you bring your information in for review. If you are due a refund, you must file a return in order to apply. The average unclaimed tax refund is worth more than $600 and the IRS puts a three-year window on claiming past refunds. *Who can I claim as a dependent? Many people know they can claim their children as dependents. However, you can also claim elderly parents, significant others and other relatives in some cases. They will have to meet certain requirements, but each dependent can allow you to deduct $4,050, which reduces your tax liability. *What tax deductions and credits are available for parents? -Child and Dependent Care Tax Credit: For parents who have to pay for childcare in order to work or look for work. The dollar limit on the amount of expenses you can use to figure the credit is $3,000 for the care of one qualifying individual or $6,000 for two or more qualifying individuals. The amount of your credit is based on your income but ranges between 20-30 % of your allowable expenses. -Earned Income Tax Credit: For low to middle income working Americans. This credit is based on your earning and the number of qualifying individuals but can be as much as $6,318. -Child tax credit: For those with families. This credit allows up to $1,000 per child under the age of 17. *What tax benefits are available for college students? -The American Opportunity Tax Credit: This credit helps parents and students pay for college with a credit worth up to $2,500 per student. Eligible expenses include the cost of tuition, fees, books, supplies and equipment paid during the taxable year. Also, 40% of the credit (up to $1,000) is refundable. This means you can get it even if you owe no tax. -Lifetime Learning Credit: Allows up to $2,000 per tax return for college tuition, fees, and supplies paid directly to the educational institution. You do not have to be enrolled in a degree program to apply for this credit so even classes taken to improve job skills may qualify. As always, we’re here to help. Please feel free to reach out to us with any questions and stay tuned for more information regarding the new tax reform legislation.